Knighton Community Hall Community CentreKnighton Community Centre is a great venue for parties, weddings, live music, stage productions, exhibitions or meetings. The main hall holds 600 and has a large stage suitable for drama productions and top class live music shows. Adjoining the hall are a large bar, kitchens and dressing rooms. The Centre is busy throughout the week with a range of activities from cookery classes and badminton to karate, upholstery and amateur dramatics. It is available for wedding receptions, private parties, exhibitions and meetings and rooms are available for hire separately if required. 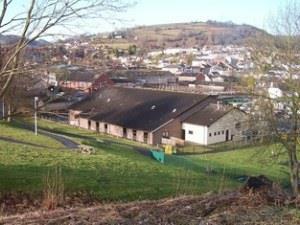 Knighton Community Centre is a great venue for parties, weddings, live music, stage productions, exhibitions or meetings. The main hall holds 600 and has a large stage suitable for drama productions and top class live music shows.